near Rishikesh, imagining how this fercious river must have risen to take down parts of the higher mountains. at my hideout at Rainforest House, half an hour out of Rishikesh. on my journey from Rishikesh towards Uttarkashi. These naturally-terraced mountains, lush green with charming little villages, are nothing like I’ve seen before. in the Garhwal Himalayas, a hike up from the villages beyond Uttarkashi. amid these pristine landscapes, with not another soul in sight. from Kuflon village; she was 11 and he 17 when they got married. They witnessed the grounds shake and the waters rise last year, and took it in their stride. Ganga Singh and his wife still choose to live without electricity (with only a solar lamp), away from their kids, and have much laughter in their lives. Makes you realize how little you need to be happy! are small close-knit communities, where everyone knows everyone else and the village gossip. The village of Kuflon, for instance, is home to only 8-9 families, and in times of tragedy, they look out for each other. like the fern, which grows wild in the forest, takes a trained eye to identify, and tastes delicious! at Kuflon; a perfect hideout set up by a couple who gave up their corporate jobs in the cities for the solitude of the Himalayas. They were in Dehradun when the floods hit, and couldn’t make it home for a month and a half because the bridge leading here got washed away. with a yoga instructor and new-found friend, down the road from Kuflon, marveling at the sheer intensity of the river that shook the foundation of the might Himalayas. Flash foods have been common in these parts for a long time, but irresponsible pilgrimage tourism has certainly taken its toll on these mountains. ; here words almost flow faster than thoughts! on my way down to Landour, near Mussoorie. The winding mountain roads, both via Rishikesh and Mussoorie, have been rebuilt in most parts and work is in progress in the remaining rough patches. at La Villa Bethany. It has been restored by a couple to its original glory, and sustains itself almost completely with rainwater harvesting, solar energy and organic farming. It’s the conviction of people like these that gives me faith that our mountains will survive. A note on the Uttarakhand floods: The floods of 2013 washed away much in these pretty villages and valleys, and while the damages are still visible, most of the roads and major bridges have been rebuilt and are safe for travelling. 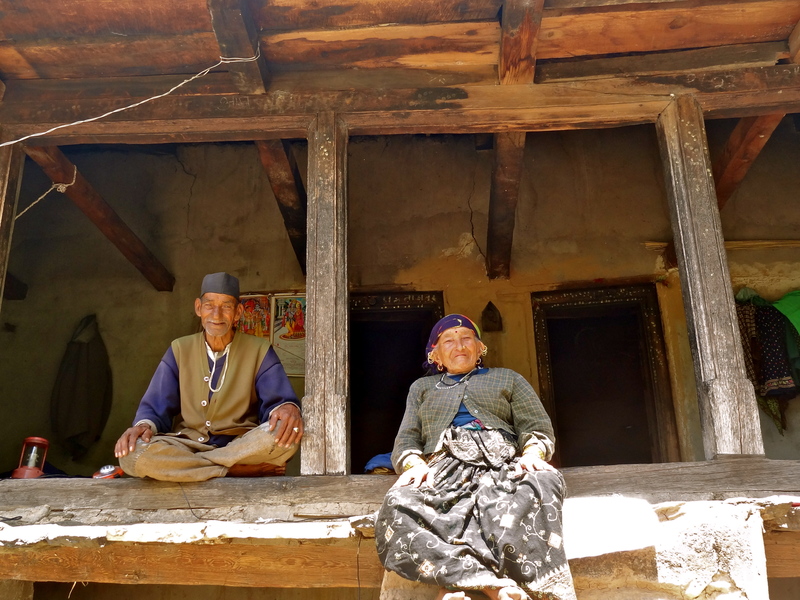 The locals are slowly rebuilding their lives, and the best time to travel into Garhwal is now, when tourism can really help restore the local village economies. The best way to travel from Dehradun / Rishikesh / Mussoorie to Uttarkashi is by the Vishwanath Seva semi-deluxe bus. What are (were) your impressions of the Garhwal Himalayas? The book, the pad or the Yoga instructor really add perspective to your images. POV shooting done well. Thank you! I’m glad you thought so. Those mountains have so much beauty and so many stories. Thanks Prathap! Yet to make that journey to Dalap! We are heading there in Oct for a month, the parts that you are in seem to have recovered well despite the floods last year. No matter how many times one goes to the Himalayas, you always end up enjoying it. True story! Which parts are you to go in October? Thanks Sridevi; that’s all my aim with this blog 🙂 You made my day by saying that. What a totally awesome place Shivya… If I l lived there I might not want to travel so much! I know just what you mean Pete. I hope to go back and stay longer (just need to figure the connectivity part which funds these travels)! It really is hard to imagine Swati! Especially when you dip your hands and feet in, and let the cold water wash over you. Glad you liked the pictures. Lovely photographs! Can’t believe this is the same river that swallowed so many lives. Lovely post. Stumbled upon your travel blog just a week back.Co incidentally, I am visiting Doon this month and plan to trek in the Garhwal range. Hope to make it worthwhile! Previous Post10 Things You Didn’t Know About Me. Next PostSikkim: The Lost Kingdom.